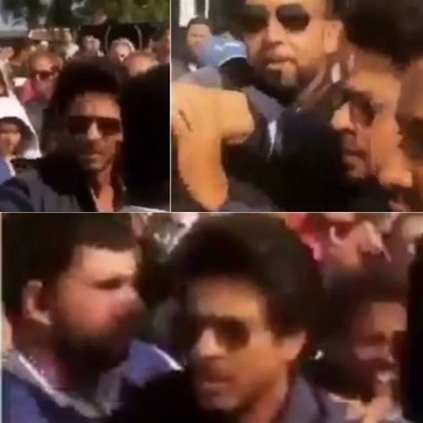 SHAH RUKH KHAN MANHANDLES A FAN? Shah Rukh Khan who is currently in Turkey shooting for his upcoming film 'The Ring' alongside Anushka, found himself in a tough spot recently. A video where the actor allegedly manhandles a fan has surfaced. The actor was visibly angry at the fan, though it isn’t clear what the man tried to do that made the star lose his temper. However, SRK soon regained composure and was seen taking selfies with fans. No statement has been released regarding this from the actor’s side. Incidents like this just go on to prove that the life in the shoes of a superstar isn’t as easy as it seems.